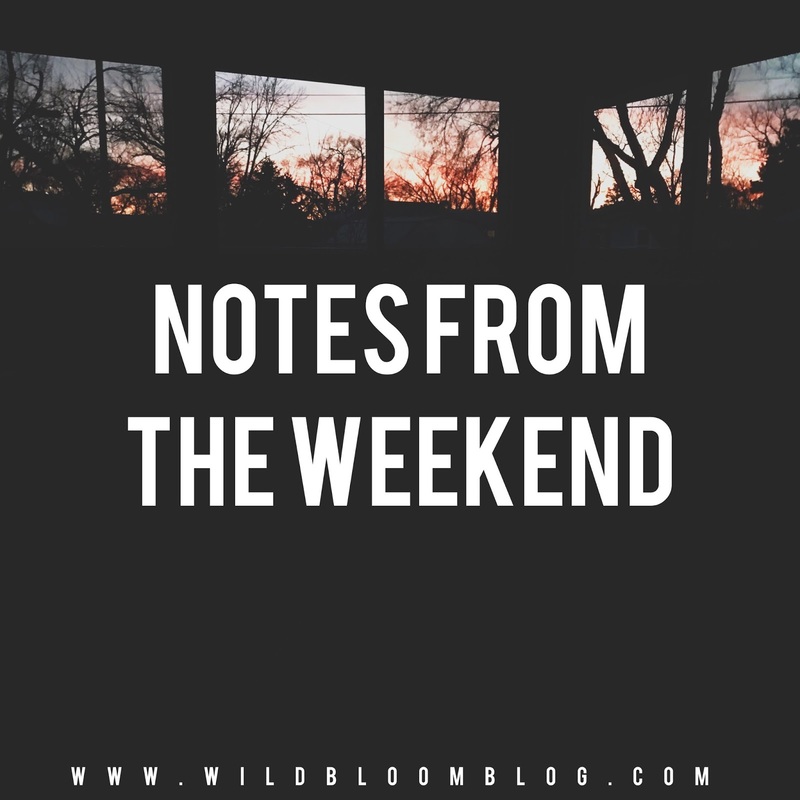 W I L D B L O O M : NOTES FROM THE WEEKEND | volume two. 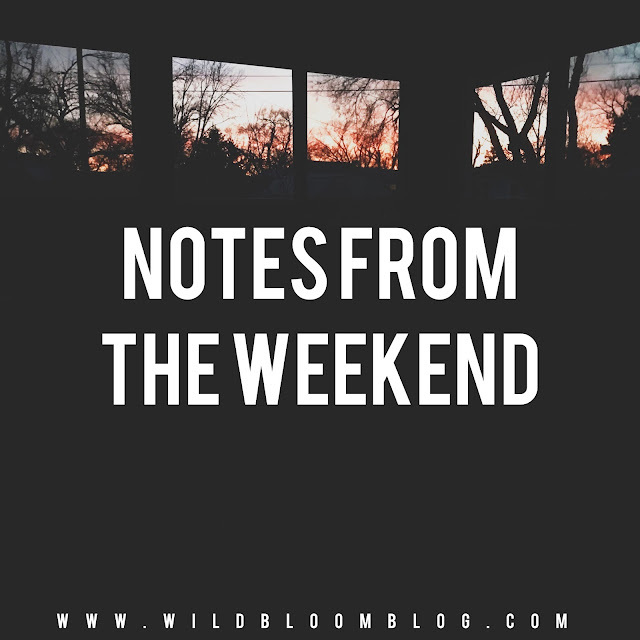 NOTES FROM THE WEEKEND | volume two. - i inadvertently started using less social media last week. i didn't intent to take a break, but i didn't mind it either. i replaced all that mindless scrolling with reading books. i've finished three books this month already; i read three books total last year. - i had sort of a come to Jesus moment last week. i've been open on the blog about my struggles with motherhood. when it all came crashing down last week, i realized a lot of my issues are rooted in comparison. my thought process was often some form of: this mom is doing this and that mom is doing that, and i'm doing something different, so that must mean i'm doing something wrong? i have made a point to pray whenever i have those thoughts creep into my mind. my hope is that God will rid me of this sin + doubt + shame and show me my identity isn't in titles, but in Jesus alone. i still have a long way to go, but i've already seen heart shifts that only He can do. - after months of prayers, jared was promoted to a new position at work. it's still on second shift, but this sets him up for a better chance at getting first shift in the future. we are so excited, and even better: he will be training is on first shift for the month of february! - jackson started babbling MAMAMAMAMA this weekend. i'm not quite convinced he's saying mama, but i still love it. + if today is hard. + "people are constantly posting things to make themselves feel like superior moms, like articles confirming why they do what they do is the absolute best choice and why everything else was terrible and damaging to our little darlings." this article was spot on. NOTES FROM THE WEEKEND | volume four. WHEN GOD SHOWS UP IN A TARGET BATHROOM. NOTES FROM THE WEEKEND | volume three.